What can the super wealthy teach us about having a secure financial future? 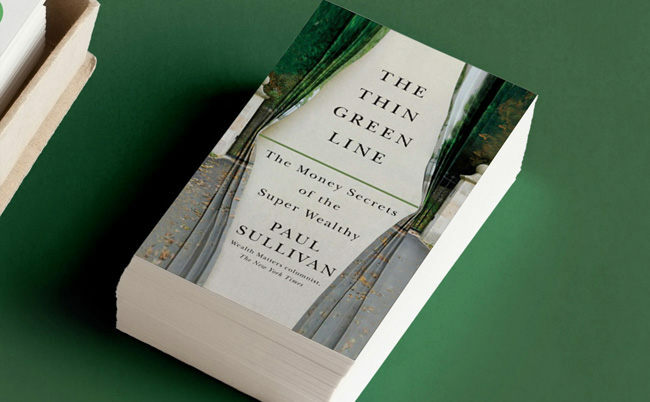 The Thin Green Line: The Money Secrets of the Super Wealthy by Paul Sullivan. “Wealth Matters” columnist for The New York Times reveals the decisions, behaviors, and worldviews that lead to true wealth. For the better part of the past decade, Paul has written about and lived among some of the wealthiest people in America. He has learned how they save, spend, and invest their money; how they work and rest; how they use their wealth to give their children educational advantages, but not strip them of motivation. He has also seen how they make horrendous mistakes. Firsthand, Paul knows why some people, even “rich” people, never find true wealth, and why other people, even those who have far less, are far better off financially. His book shows how others can make better financial decisions—and come to terms with what money means to them. It lays out how to avoid the pitfalls around saving, spending, and giving money away and think differently about wealth to lead a more secure and less stressful life. An essential complement to all of the financial advice available, this “timely…smart” (Publishers Weekly) guide is a welcome antidote to the idea that wealth is a number on a bank statement. Why it was important for readers to understand the difference? The meeting he talks about in the beginning of his book with Tiger 21 members. Paul brought up teaching his young children how to save by using the Money Savvy Piggy Bank. Get yours here TODAY.